DIY - Super Sundae fundraiser! devour the record-setting sundae. 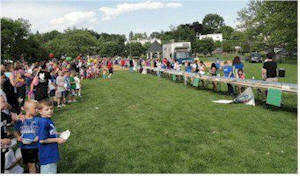 A spokesperson said the initial plan was to make the sundae 150 feet long, but that was when the record was 125.